With the arrival of the warm weather of spring, it’s time, once again, to begin enjoying deck and patio spaces. 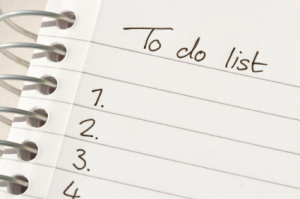 Before appreciating the outdoors, however, it’s important to ensure that these living spaces are properly maintained. 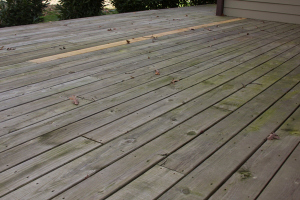 During the winter, unsightly stains and debris tend to accumulate on decks and patios. 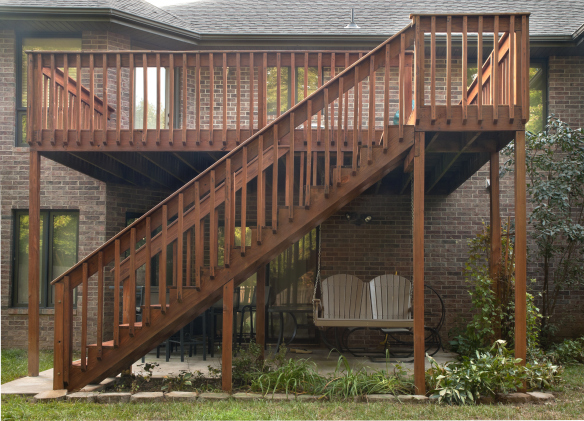 Additionally, the effects of moisture damage, including mold infestation, can be even more detrimental to the quality of a deck or patio. When performing spring cleaning on outdoor areas it may tempting to rely simply on a broom and garden hose, but typically decks and patios that have weathered winter conditions require a more in-depth cleaning process. 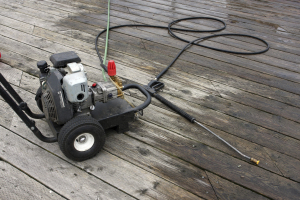 The performance of DIY cleaning on a deck or patio can further damage the structure and its surfaces. 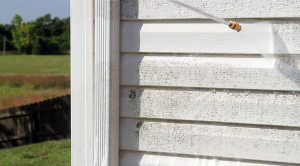 Instead, it’s recommended that homeowners contact a professional power washing contractor, such as Renew Crew. A professional service will have the ability to remove not only stains but also fungi and mold that may be difficult to remove utilizing DIY methods. Concrete can provide a stubborn surface to clean and maintain, for even the most seasoned do-it-yourselfer. 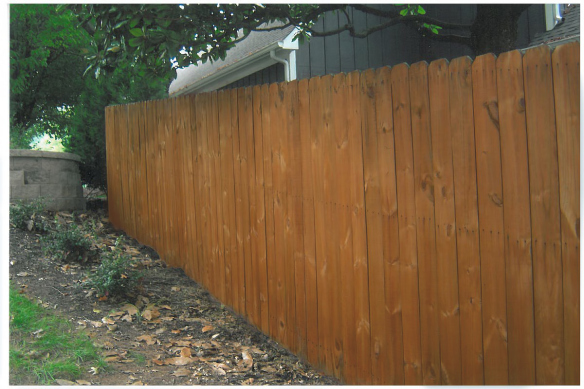 Power washers provide a great alternative to the standard garden hose because they are an effective and safe cleaning method that utilizes and distributes cleaning solutions through a fan spraying action. Wood is another surface that requires specialized techniques, particularly after winter. 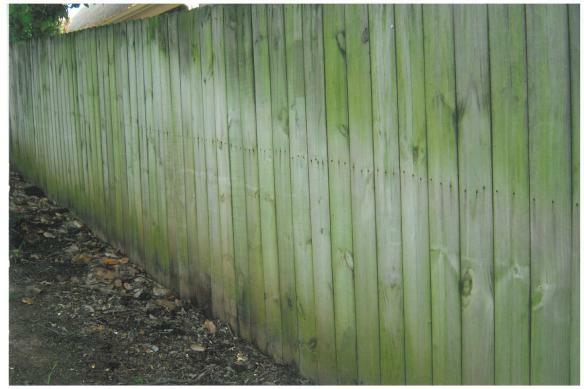 In order to properly clean wood, a special cleaning solution is traditionally applied through the use of a pump sprayer. 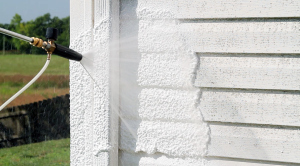 Power washing professionals typically ensure the nozzle tip of the sprayer is at least 12 inches from the wooden surface at all times. 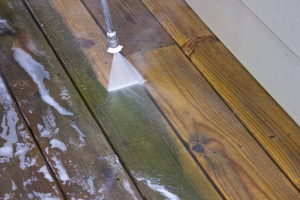 Power washing is an incredibly effective way to clean and maintain wooden structures, such as patios and decks, but if done improperly it can lead to damage, including splintering wood. 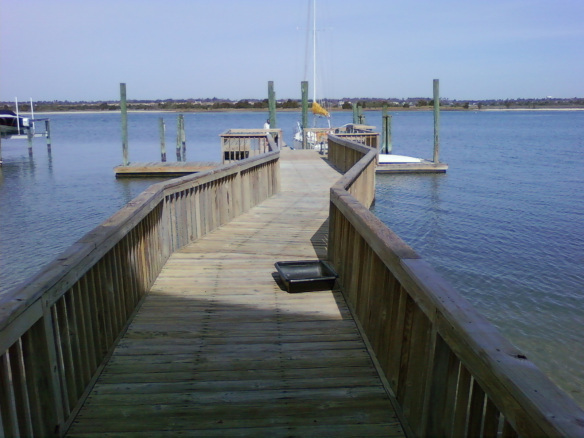 If an outdoor wooden structure is compromised due to cleaning methods, the homeowner may have to sand the structure and reapply the deck sealant. 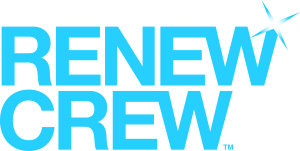 Because of the risk associated with cleaning a deck or patio on one’s own, it’s recommended that a homeowner contact a reputable power washing company, like Renew Crew. 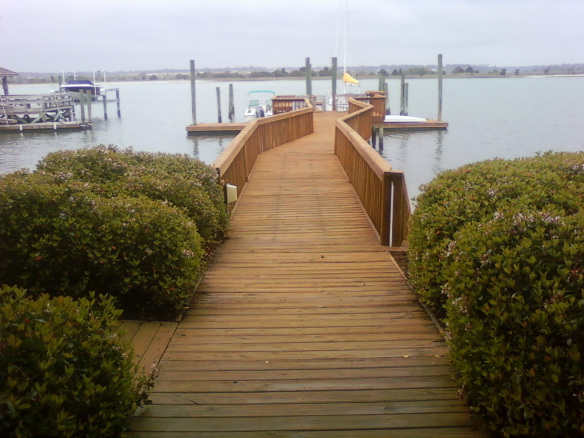 In addition to professional washing services, these companies also offer quality deck sealing. A professional service provider will be able to restore and protect outdoor spaces in order to maximize enjoyment and peace of mind. Memorial Day is this weekend, the unofficial beginning of summer when the weather gets warmer and our yards start to call our names. Your outdoor living space is an extension of both your home and personality. It should reflect that in every way from the decor and plants you use in the surrounding areas. Now is the perfect time to get your outdoor living space ready. In this article I will give you some tips on how to get your garden/flower beds ready and how to make sure that any other feature that you have in your outdoor space is ready for family and friends to enjoy. Some people believe that having plant life around your property is difficult to maintain and keep looking lush summer after summer but it’s not all that difficult if you just follow a few simple rules. The first rule is to remove any dead plant life from the beds. This will automatically improve the look of your area. The next thing you need to do is do some trimming and pruning of all your plant life that requires it. The trimming will make your plants happy and also make them look healthy. Then pick up some mulch, some people place small bits of compost in it for extra nutrients but it’s not necessary. The simple addition of mulch to your space will make each bed pop and also provide your plants protection from weeds. The final tip to manage your plant life is do not over plant or over clutter your beds. When you overplant, plants will not grow or get the proper nutrients they need to look stunning all summer long. Also don’t forget to water regularly plants need water too! The next item I will cover is the 3 P’s of outdoor item care. The first “P” is Prepare; you can prepare all of your outdoor items such as furniture, fabrics, umbrellas, and grills with a simple scrub brush accompanied by some soap and water. This will remove all of the grim that was caked on during the winter and will also give your items a fresh look and smell. The second “P” is Protect; you should always cover up your items when they are not in use and especially your grill. Your grill will take abuse from weather and eventually will break down much faster if left uncovered. This is also true for your outdoor furniture, the less abuse they take the longer they will be around. The third and final “P” is Prevent; you should put away in storage any items that you are not using for the winter, “if applicable”. This will reduce the wear and tear winter puts on your beloved outdoor living space items. These are just a few tips to help make your outdoor living spaces the best they can be. 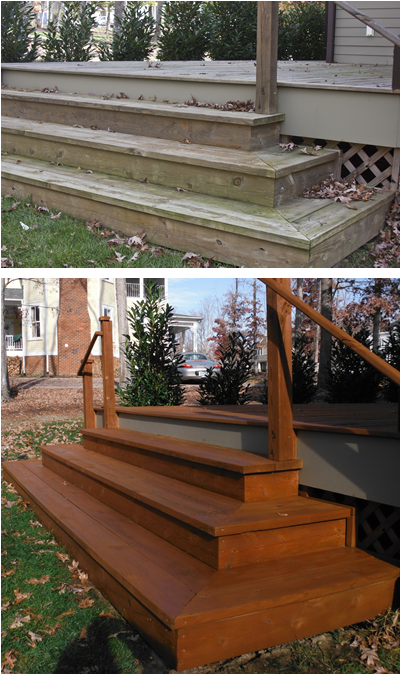 At Renew Crew, we help our clients renew the surfaces of their outdoor spaces. 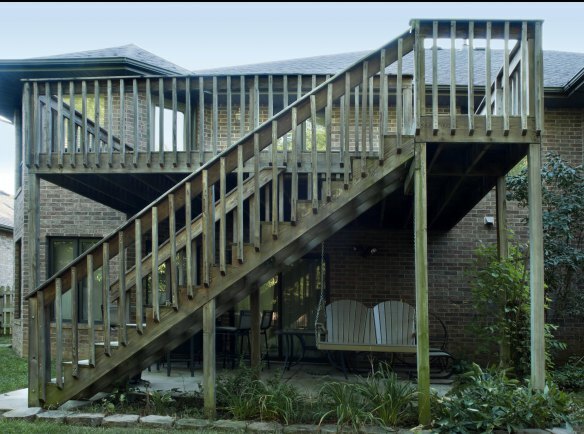 Whether it’s a greying deck or a stained concrete patio, we can help your outdoor living spaces look better. 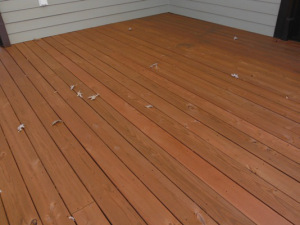 Please contact your local Renew Crew office to learn more about patio and deck cleaning and protecting.